The elegance of Calacatta Vintage CQ 3CM lends itself to the top of the best stones palette. This product is often the first choice of the consumers because of its ability to blend with a number of kitchen designs. 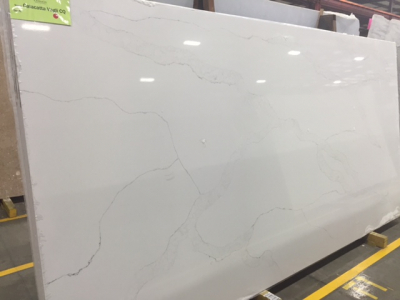 Quartz allows the homeowners to customize the design, so the selection process is much easier. It is environment friendly; also it cleans the stains and spills with an easy mix of soap and water. 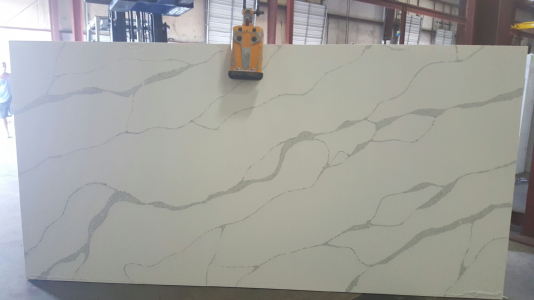 Calacatta Vintage CQ 3CM slabs are nearly indestructible and bacteria free. Excessive heat can damage the quartz slab, so it is advised to use heating pads all the time. Easy to maintain with longer lasting, quartz is the winner among all the competitors. This stone is beautifying homes and corporate spaces of people living in Raleigh, NC.